Bread’s not usually my thing. Well, what I mean is that MAKING bread isn’t usually my thing. Eating bread is ALWAYS my thing. There are some foods that I am more than happy to simply consume and not produce (at least for now), among which are foods like Thai food, gnocchi, gelato, chocolate covered espresso beans and cheese. Why make it when you can let a true expert make it for you? Bread, it turns out, is not on the list of foods I will willingly outsource unless absolutely necessary. What kind of a baker doesn’t make bread?! Because I have now revealed this embarrassing fact to you, I have to do something about my problem. Therefore, I will begin practicing the production of this food group which sometimes falls too close to art and too far from science for my liking. What am I saying?? I work with chocolate everyday. I should be used to that by now. 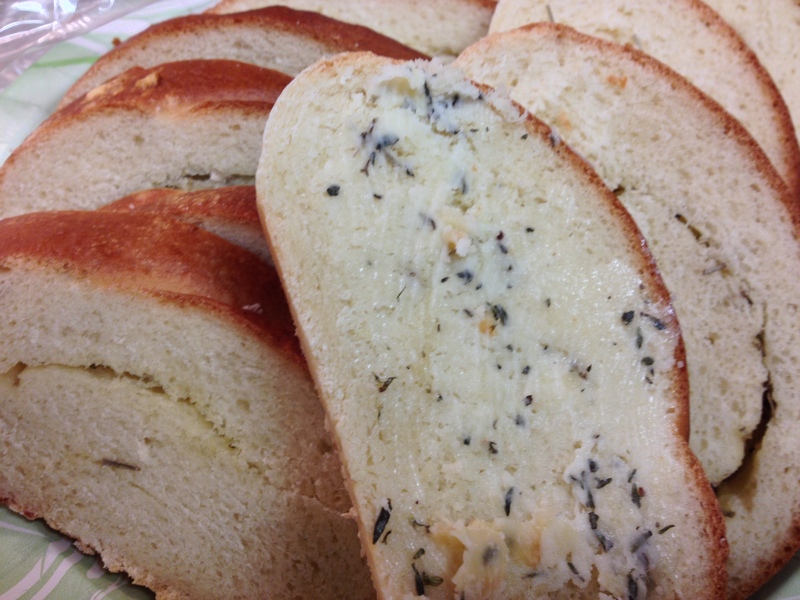 This is a fantastic recipe for someone who is bread-shy (ahem, yours truly)! It’s easy and relatively fast (as in, it doesn’t require rising periods of 12 hours. 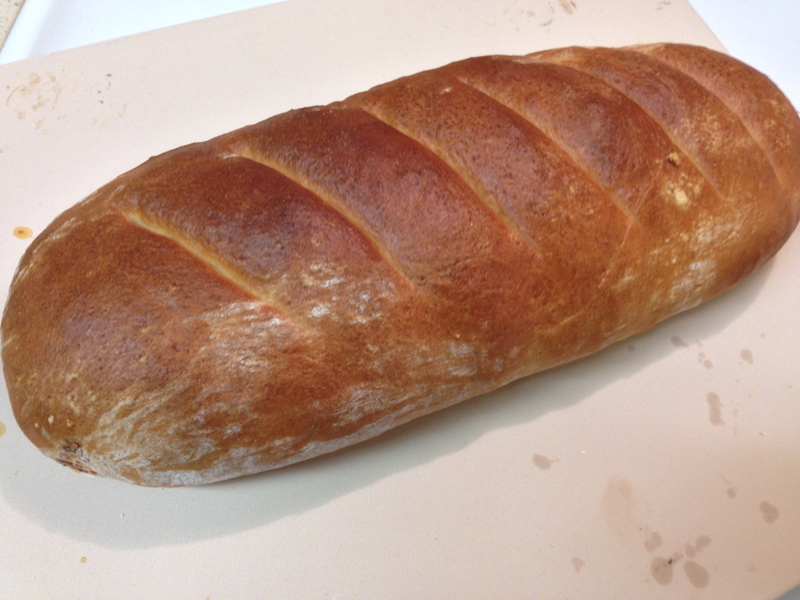 Oh, the irony that usually the perfect loaf of bread is twice as well rested as you are!). It also boasts a mild but well-balanced flavor and good crumb. I served this loaf with a butter made with roasted garlic and basil, but serving a small plate of olive oil and balsamic vinegar would be a simple, traditional touch. Are you an expert bread maker? Any tips would be greatly appreciated as I embark on this new life goal…give me a shout out PLEASE!! In a large mixing bowl, dissolve yeast in warm water. Add the sugar, salt, oil and 2 cups flour. 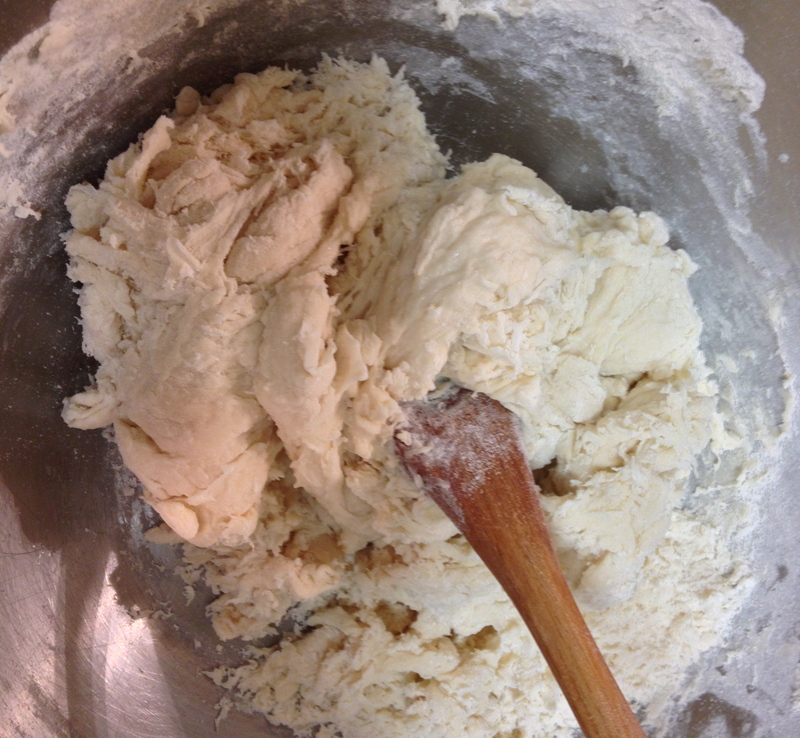 Beat until blended; stir in the remaining flour. 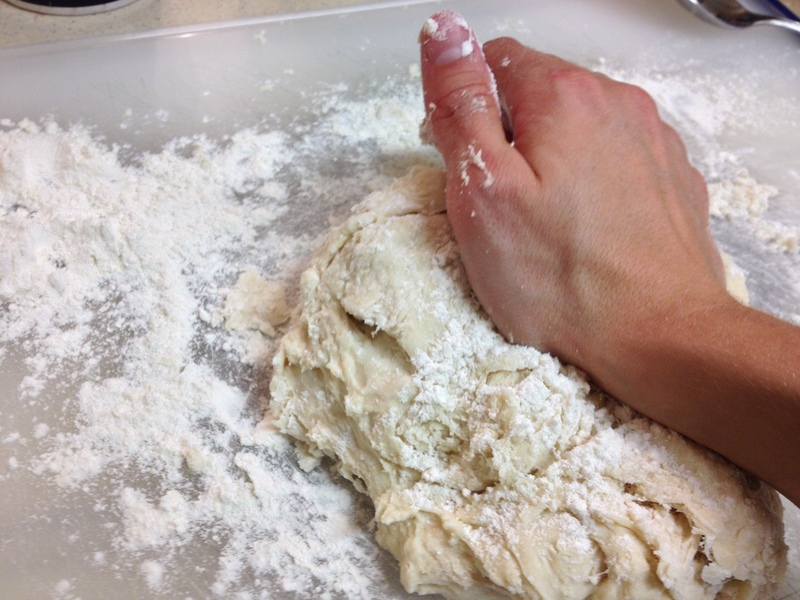 Turn onto a floured surface; knead until smooth and elastic, about 8 minutes. 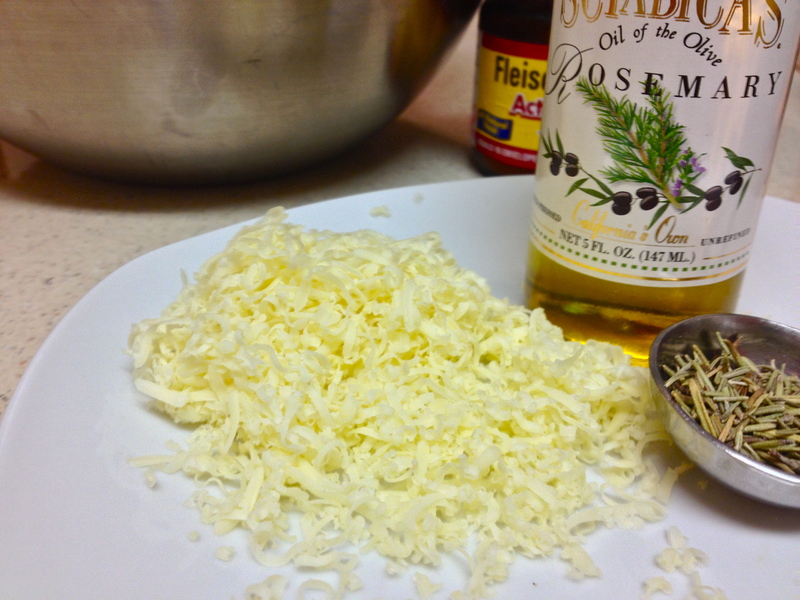 Place in a greased bowl, turning to grease the top of the ball. Cover and let rise in a warm place until doubled, about an hour. I rig a homemade “proofing oven” by boiling a glass of water in the microwave, then leaving the water in a corner of the microwave and placing the bowl inside with it. Return to the bowl. Cover and let rise for 30 minutes. Punch the dough down. 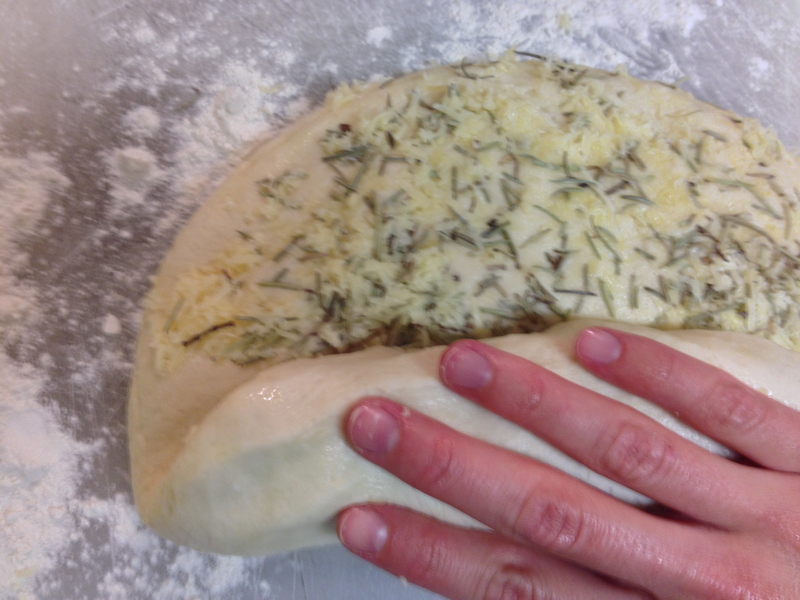 Turn onto a lightly floured surface, make an indention in the loaf and add the cheese and rosemary; press into the loaf. Roll the dough jelly-roll style and shape into a loaf. Place on a pizza stone or greased cookie sheet. Cover and let rise for ½ an hour or until doubled. 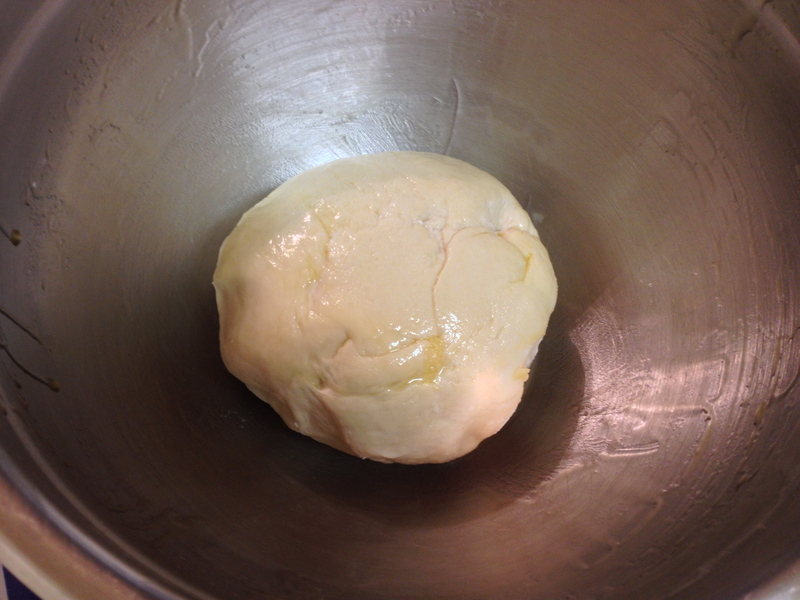 Beat the egg white and cold water; brush over the dough. 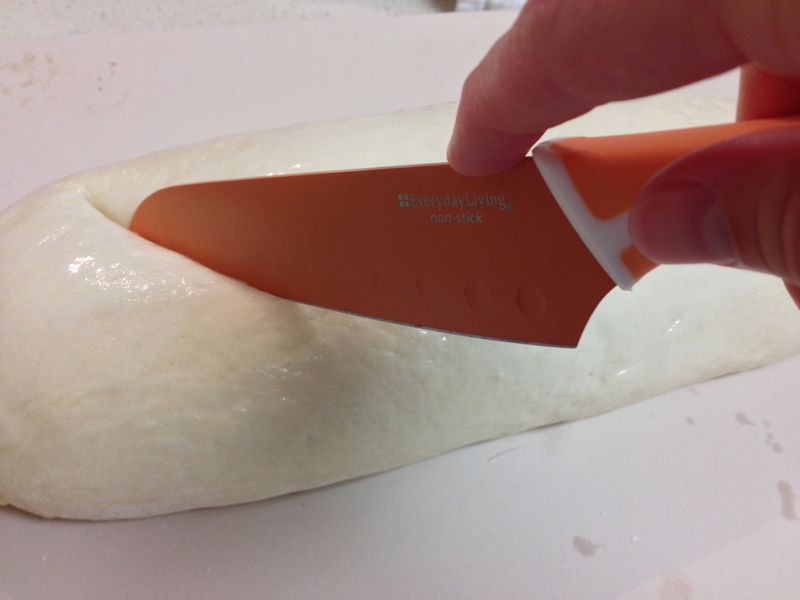 With a sharp knife, make diagonal slashes in the loaf about 2 inches apart. Bake for 25-30 minutes until golden brown. Remove from the oven and place on a rack to cool. Slice it up and eat it!